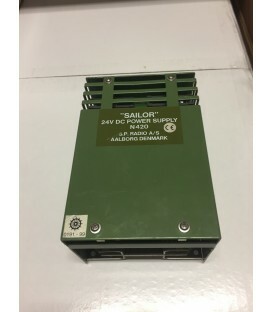 Begagnad/reparerad SAILOR N420 24V/12V Regulator GENERAL DESCRIPTION The regulator N420 is a general purpose 24V DC to 13.2V DC regulator, e.g. to be used for supply of VHF radiotelephones (RT2048). The regulator N420 is a serial regulator with excellent noise performance. Testad OK. 6 månader garanti.